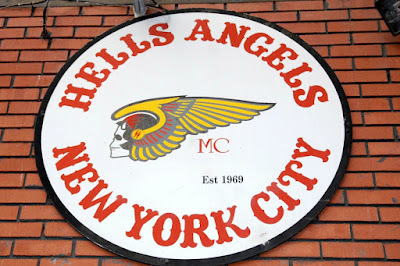 As many as 100 bikers surrounded the Hells Angels clubhouse in Hempstead Village on Sunday, ready for a clash, but left after police showed up in force. A group called the Unknown Bikers motorcycle club came “in force to retrieve vests” after they were taken by Hells Angels. 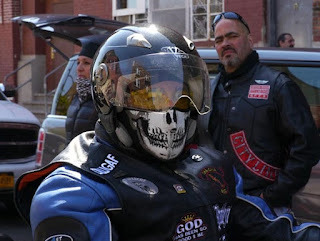 The Unknown Bikers club is based in Brooklyn. Hempstead Village police and about 50 Nassau officers from four precincts converged at the Hells Angels motorcycle club quarters on Henry Street. Photos of the scene showed Nassau SWAT officers wearing bullet-resistant vests and carrying rifles as they walked on the roadway toward the motorcycle club. Police put themselves between the two motorcycle clubs, and the Unknown Bikers eventually left.